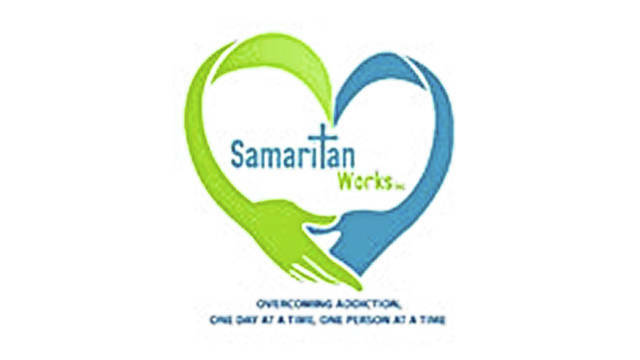 Editor’s note: The Sidney Daily News will be publishing articles periodically about Samaritan Works and how the organization helps residents maintain their sobriety, whether it’s from drugs or alcohol. SIDNEY — “When we first met ‘Susan’, she was an ‘Adult Child.’ She became an adult too soon in many ways, and a child that didn’t have the parenting she needed in order to develop into a mature adult,” said Samaritan Works Executive Director Sheila Lundy. “Susan’s” name and other names associated with her have been changed to protect their identities. “As a mother of her own three children, Susan shares her childhood story with you – her unique perspective – so you can understand how she fell into addiction. It is clear that her childhood memories have a common thread: a powerless, desperate young child being raised in a home fraught with tension and chaos. Her childhood trauma is not something Andrea will grow out of, but she hopes her story of reality will give hope to others who are trying to break their family’s cycle of addiction,” said Lundy. “Addiction is in my blood. You could say I inherited it. My Dad was an alcoholic. My Mom was an addict. That doesn’t mean my Mom was bad; she was a kind and a good person. “I remember playing in my room, and my Mom would tell my sisters and me to pack up our stuff; we were getting out of the house. And we would leave for a couple days and things would calm down with my Dad. Then we would go back home. But this packing up and leaving and coming back didn’t happen just once, it kept happening over and over again. “I was the youngest of three children. I had two older sisters and both of them became addicts. I was always trying to come up with ways to get everyone to stop using in our house and none of them worked. “I began babysitting in sixth grade, and I have always had a job. I never relied on my parents. I couldn’t. I practically raised my sister’s seven kids because my sister wasn’t always able to because of her drug use. “At 17, my Mom introduced me to marijuana, and we would use together. I rationalized it by thinking it’s only “weed,” and I am getting time with my Mom. “Yes, I’m a risk taker. I am so impulsive I can’t stand myself. I have to take risks. That’s the way my whole life was. I don’t know what safe is. I have to have a certain tension level. Making decisions and solving problems is usually very hard for me because there has never been anyone around to teach me what I need to know about life or anything. I learned to do things crisis to crisis. “I had my daughter, ‘Jessica,’ in 2006. I never used when I was pregnant. I had twins in 2009. I was always involved in abusive relationship because I was convinced I needed someone to take care of us. Naturally, parenting was a struggle for me because I couldn’t teach what I didn’t know. I just didn’t know how to do it. “I spent 2017 living in hotel rooms with my abusive boyfriend and my kids, and I was so sick from using that I literally thought that I would die. My boyfriend got angry one day, broke his cell phone in half and used the broken glass to try to kill me. Now as a resident of Amelia House, Susan is doing a lot of hard work. She has layers and layers of stuff that is surfacing through counseling. She is starting to take a look at her chaotic childhood. She still has two sisters who had a big influence in her life but they still use, so she has to learn to detach from people she loves but are toxic to her recovery. Susan is learning and trusting she is loved and cared for by all at Samaritan Works, Amelia House and NA. She has a job at a nursing home and her co-workers and patients adore her. She is saving for a car. Susan has a goal of proving she can take care of her children again. As a first step, she was able to spend Christmas with them and buy them presents. Susan is building self-esteem. She is growing through the challenges in her life – the hard times, not the easy ones. Building her self-esteem will help her children build self-esteem. With recovery, the spiral goes up throughout the family and Susan knows that breaking the cycle of addictive behavior begins with her.